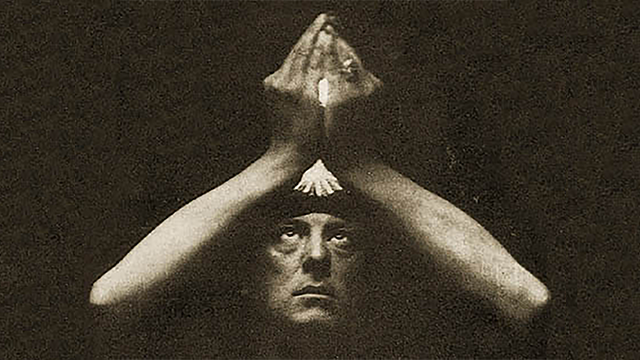 Frater Kikhos ba-Midhbar Reviews the Confessions of Aleister Crowley – Zero Equals Two! 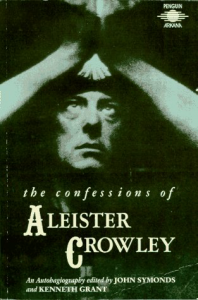 The Confessions of Aleister Crowley, an Autohagiography (eds. John Symonds and Kenneth Grant), Arkana Penguin, 1989. Review by Frater Kikhos ba-Midhbar, posted here with his permission. And thus, I heeded the voice on the Saturnian return of my ownership of the book. There is much mountaineering, and many trips to the dictionary, and Google searches of certain phrases lead back to online versions of this very text. And yet, scattered throughout the text are important insights into other of Crowley’s works, as well as guidance on particular magical practices. For these alone, reading the book is well worthwhile. More detail in this last respect cannot be easily given, as the insights are surprisingly personal. Some parts of Confessions are repetitive, and at times Crowley refers back to incidents not described or foreshadows events not related. I lay this at the feet of the editors. Also, there is a strange deja vu to other parts, perhaps owing to their being quoted in introductions of other Crowley works. This also underscores the importance of reading Confessions. Poignantly, Crowley’s main confession is that he trusted people too much. They saved a few thousand for the fool and kept him on short commons to teach him sense. He had snarled and become a socialist. I met him at the Gargotte off Holborn, being the only man there who looked at all like a gentleman. I paid him special attention. This suited him down to the ground. He saw a chance to cadge. He agreed with me about socialism. It appeared that his motive in frequenting that milieu was identical with my own. It is too bad, however, he wrote so generally about Cefalù. It is unclear whether this was his choice, or that of this edition’s editors. Regardless, those incidents are covered in other biographies, from both outsider and initiated points of view. It’s an important work, though this edition’s importance will be eclipsed once the Spirit of Solitude is published. The book is only available from third-party sellers at this time. Thank you to Frater Kikhos ba-Midhbar for allowing this post of his review.